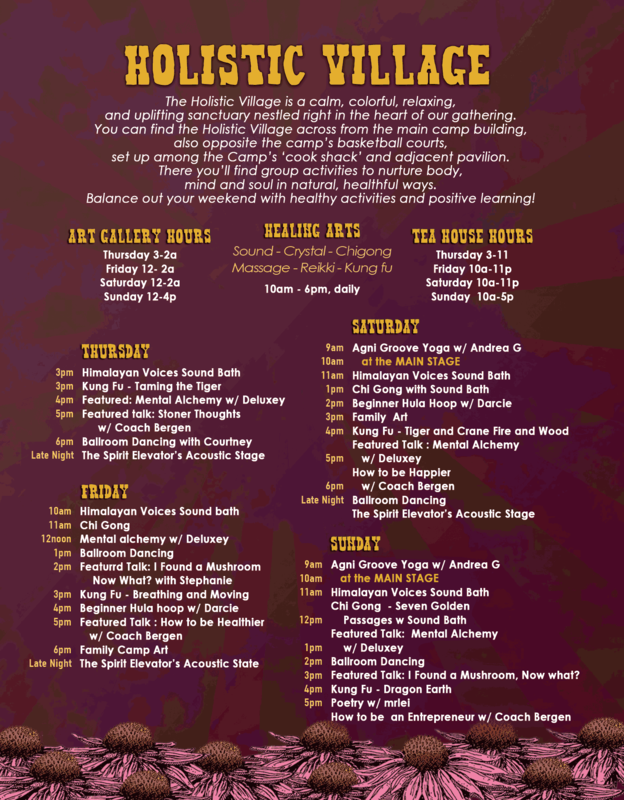 Engage your whole person at the Wormtown Holistic Village! The Wormtown Holistic Village is all about group activities to nurture body, mind and soul in natural, healthful ways.You can find us in and around the ‘Cook Shack’ area, near the main camp crossroads, across from the basketball court and the main building. We’ll also be leading activities over in Family Camping. … and don’t forget to check out the Family Camp Schedule and the Music Schedule.